There are many ways to connect with us, both on- and off-campus, in Vancouver or in your city. Roadshows, open house, information sessions... Our doors are always open. The Search Tour is back and we're traveling across Canada, looking for the most creative, talented and ambitious candidates the nation has to offer. Join us for a 45-minute information session that will take you inside VFS, giving you a detailed look at what makes our 13 unique hands-on programs among the very best in the world. Talk to faculty and admissions staff, and get the latest program and scholarship information. 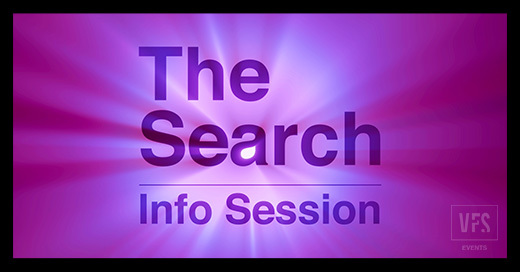 Each information session is followed by an open Q&A opportunity to ensure you get the answers you need. 6 - 7 p.m. | Multiple dates and cities across Canada. Click learn more for full event details and to register. 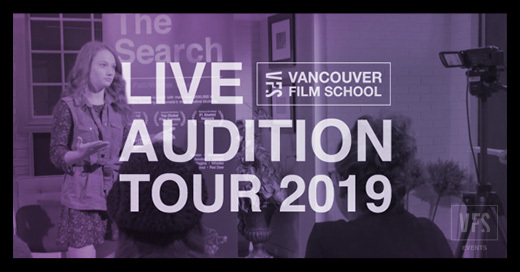 This is your chance to audition in front of an elite panel of VFS faculty instructors, alumni & industry professionals. Gain valuable feedback and insight into your audition and performance skills, then discover immediately if you’ve been accepted to the VFS one-year Acting for Film + Television (or our 4 month Acting Essentials) program, within minutes of your live audition. If you’re ready to make the next step towards a career in Acting for Film and Television, this is your moment! 3 - 6 p.m. | Multiple dates and cities across Canada. Click learn more for full event details and to register. 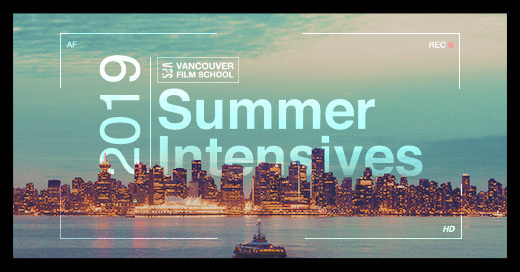 Your chance for an exclusive look inside Vancouver Film School is here! Get exclusive access to VFS, learn about our 13 one-year programs, and take a special backlot tour of the campus! Talk to faculty and admissions staff, and get the latest program and scholarship information. This is a great opportunity to ensure you get the answers you need. 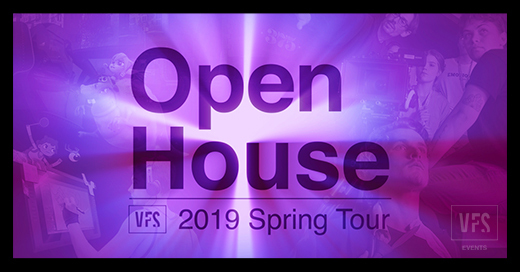 This is your chance to experience firsthand what life is like inside VFS and what our programs offer! Sorry, there are no scheduled events for this region at this time. Please try another program.